3. 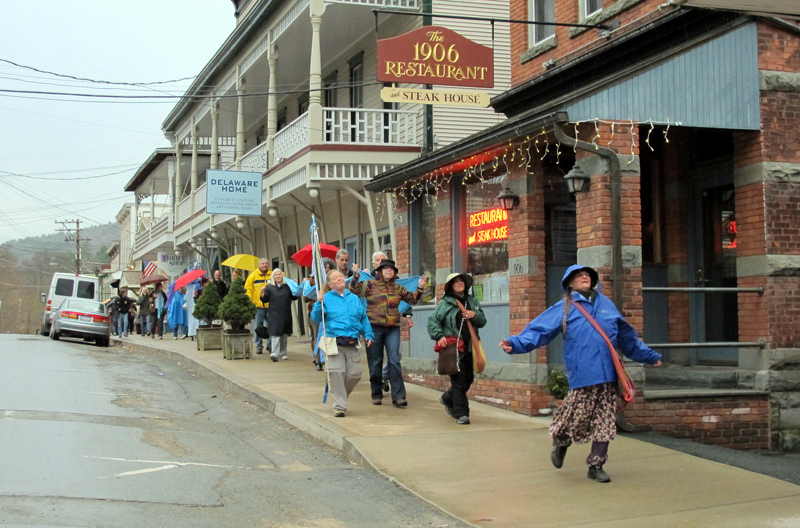 We are moved to action by the threat of contaminated water from the extraction of fossil fuels. prevents us from simply living our lives peacefully and gratefully. 5. We demand that public health and quality of life for future generations take priority in decisions that affect everyone. 6. 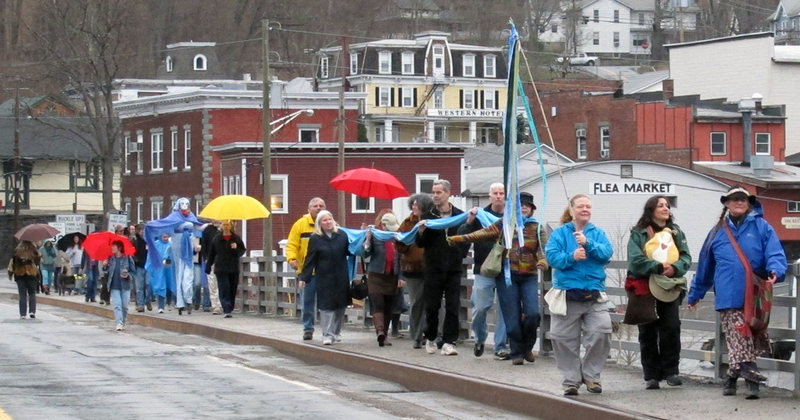 To illustrate our concerns we are carrying the most precious substance on the planet -water -90 miles on foot. 7. We do this to bring attention to how precious and vulnerable this essential resource truly is. 8 The need for clean water is something everyone has in common. 9. We seek to make this important point by visibly honoring what we love. 10 We bring good wishes to all water drinkers and bath takers. Tears of appreciation, smiles of joy and loud applause greeted the women’s arrival. Tannis Kowalchuk was already dressed and negotiating hugs while on stilts. Greg Swartz explained the many ways he, Tannis and Simon ensure that their organic farm, Willow Wisp, produces excellent food with the least possible water. A welcome fire was lit and we all noshed on a smorgasbord of salads, chili, bread, chicken, appetizers and desserts provided by each and every one of us. 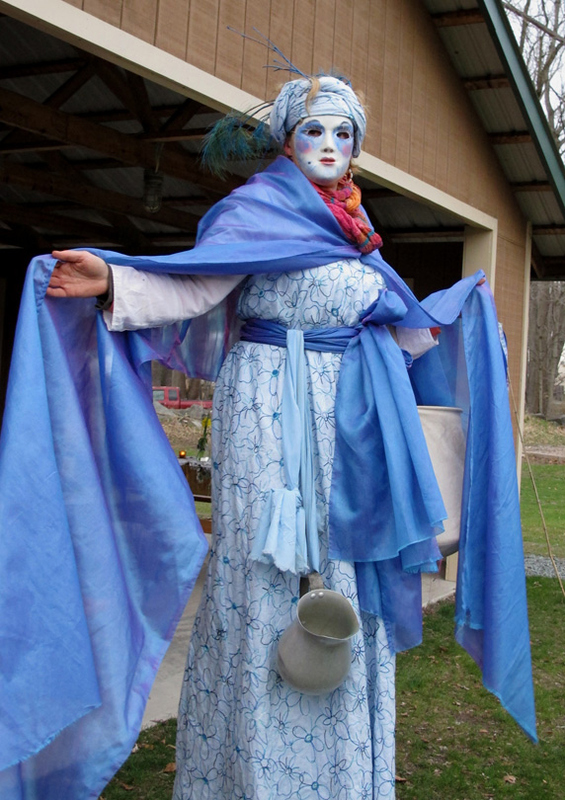 Tannis Kowalchuk, performer and artistic director of the NACL Theater, prepares to “walk about water” on stilts. Tannis, her husband Greg Swartz and their son Simon also own the organic Willow Wisp Farm which offers great CSA deals. where we paused because it felt so good. 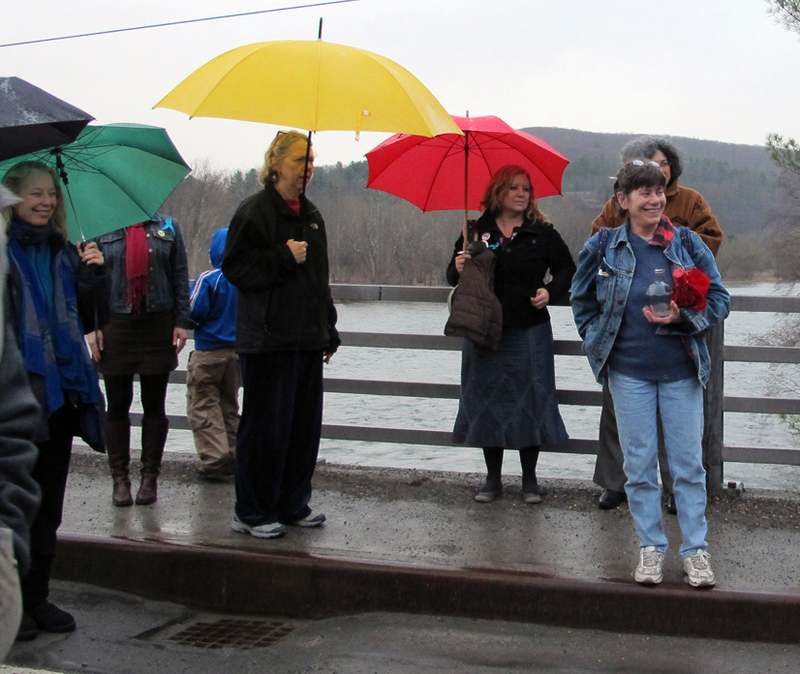 Misty rain and smiling faces on the Callicoon bridge to Pennsylvania. raised money for us and sent us off with such love that we will take with us on our journey..words cannot express how full our hearts are..